Facebook has announced two big features last week. One is Facebook Graph Search, which will change the way you find your Facebook friends. The other one is free voice call feature in Facebook for all iPhone users. The calling feature was added to Facebook messenger last Wednesday, and caught every ones attention. This amazing feature will now allow you to make calls from your iPhone, iPod and iPad with WiFi connections. People are excited to hear about this new calling feature from Facebook, and have already stared to utilize the service. Along with this service, we are also mentioning the other alternatives you can use for free voice calls worldwide. The free voice call feature in Facebook is currently available to US iPhone users and people who wanted to make calls must have the Facebook messenger installed on their phones. Though this feature is definitely amazing news for Facebook users, its still not the first one to offer this free service to iPhone users. Many companies offered free calls to iPhone users earlier. 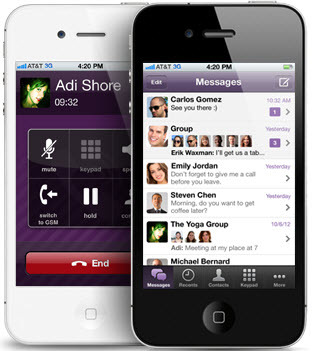 The three biggest competitors for Facebook calling feature will be Viber and Skype and Vonage. 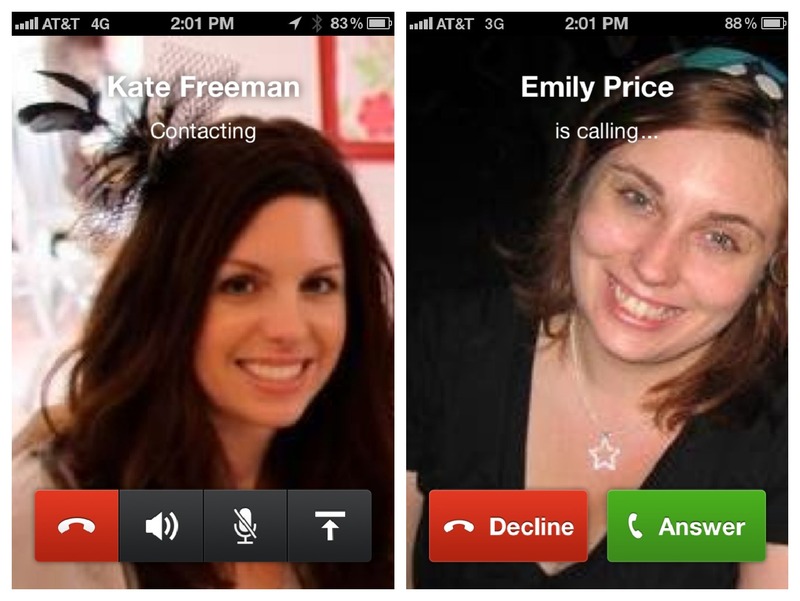 These three apps are quite popular, and can give solid competition to Facebook free calling feature. Though Facebook had collaborated with Skype earlier for making free calls, they still have competition from Skype itself. You can check out the above image to look for a similar icon in your iPhone Facebook messenger. Earlier this feature was tested with Canada users via WiFi calling option, and now has launched for US iPhone users too. After the good results, Facebook has finally announced the big news to US users and said you need not require any update through App Store. You can instantly make free calls by opening a conversation your Facebook friend and tap the “i” button in the top right corner to see Free Call option. This calling feature in Facebook can be used via WiFi or data calling option. If you are using it via WiFi, you can even utilize your iPad and iPod touch for calling your Facebook friends for free. And when you are calling someone, the recipient will get a push notification saying “Lynda is calling.” and also buttons to Decline or Answer the call. The calling quality is really amazing and can go head to head with Viber, Vonage and Skype. If Facebook is taking this feature ahead, then they have to deal with some big competition Even if you are not in US, or an iPhone user, you can use anyone of the following service to make free calls to your friends. Vonage is an amazing free talk and text service application you can use to make free calls. 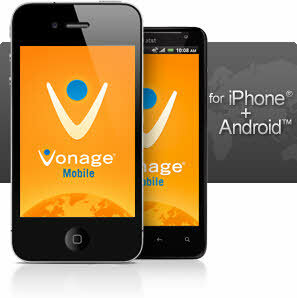 You can just download the app and make free HD calls and send free text messages to Vonage mobile users anywhere in the world. And you don’t need to be a Vonage customer to download the app for free. This application can be downloaded by both iPhone and Android users. All you have to do is to download the application and start using it. The next competitor which gives solid competition to Facebook isViber. Viber allows to make free VoIP calls using 3G or WiFi as per your request. You can send group messages up to 15 friends with any registrations, passwords or invitations required. A lot of people are familiar with this application and are very comfortable with it. You can make free calls with your Viber application to a Viber friend anywhere in the world. Viber is available for all the mobile platforms and iPhone can send free text, photo message to other Viber users without any charges. Viber makes all your phone contacts as Viber contacts. It automatically detects your contacts who already have Viber installed, and then adds them to your Viber contacts list. Who doesn’t know about Skype? This amazing free application has billions of users making free voice calls over WiFi and 3G all the time. 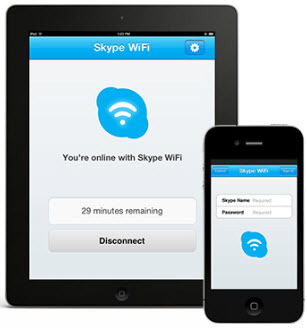 Skype is one of the most popular service for many iPhone, Android and Windows users, who love to talk to their friends over phone for free. This application is already huge competition to Facebook. 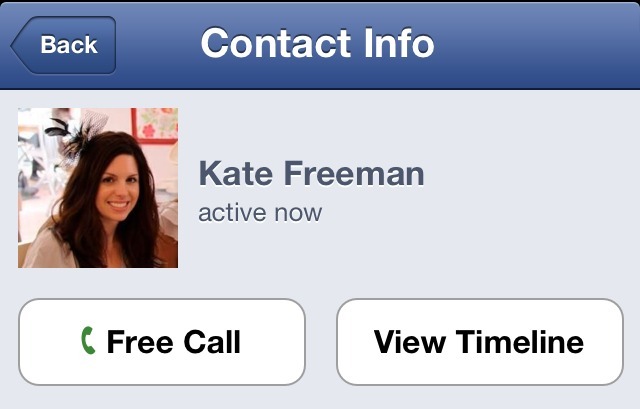 The free voice call feature in Facebook originated with the help of Skype earlier. Skype got amazing response and good feedback for embedding their service into Facebook. These above applications are the best alternatives to make free voice calls. Lets hope the free voice call feature in Facebook becomes available for all Facebook users through out the world. So what are your thoughts on this new service and its competitors? Is this feature is Built in with Facebook App for iPhone? Great Article. Thank you so much dear.